See 2015 Garden Tour Part 1 Here. See 2015 Garden Tour Part 2 Here. Fruit! 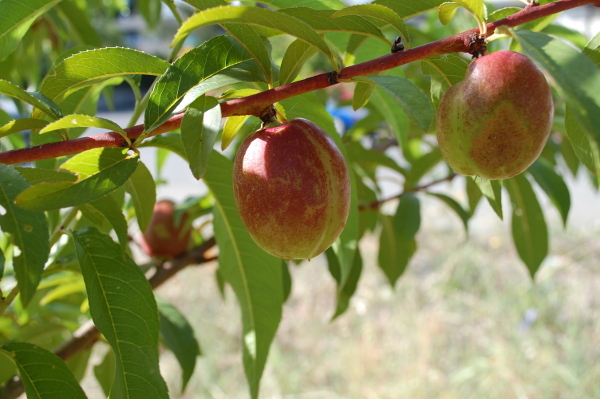 All new this year, I’m getting apples, nectarines, currants, grapes, and figs. This is on top of strawberries and mulberries. 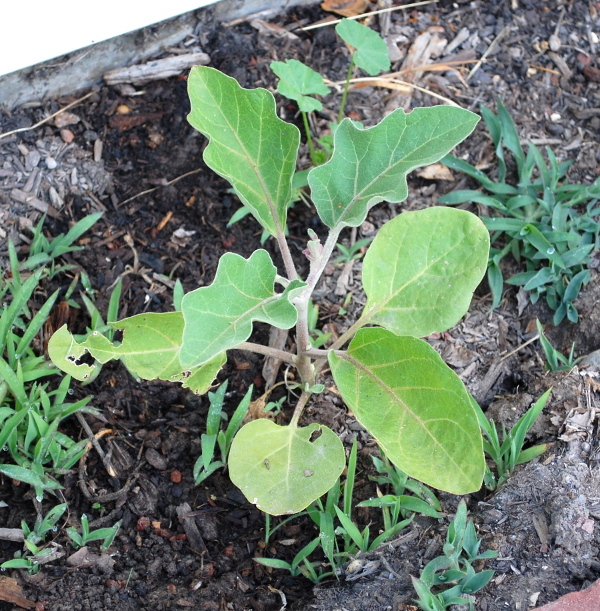 Volunteer plants. My compost didn’t heat up enough to kill the seeds this year, so I’m getting volunteers everywhere this year. 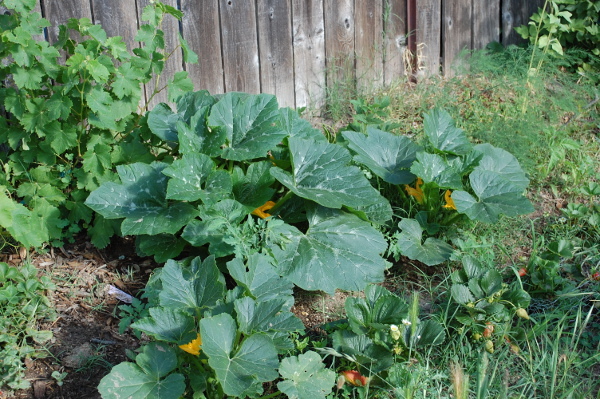 Much of it is squash plants like these taking over my strawberry bed. I’m letting them grow. I figure hey, free food. Experiment bed: This is what I call my “experiment bed.” It’s right in front of the house, so it gets very dry and hot no matter how I much I water. It’s also open below to gophers and voles, so I have to plant things they won’t eat. Eggplant. 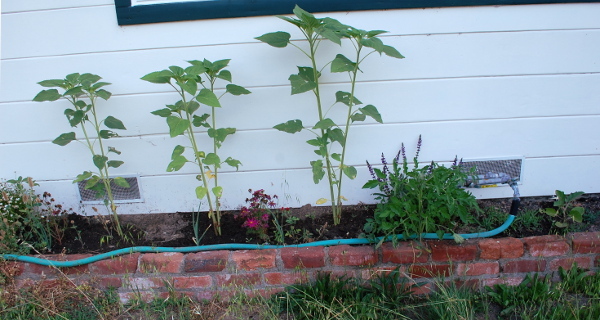 This plant has been completely neglected, and it’s growing. It seems to like the heat. And so far, the voles are leaving it alone.